Application with "drag & drop" interface on top of startup ecosystem canvas to visually map and manage your ecosystem services. 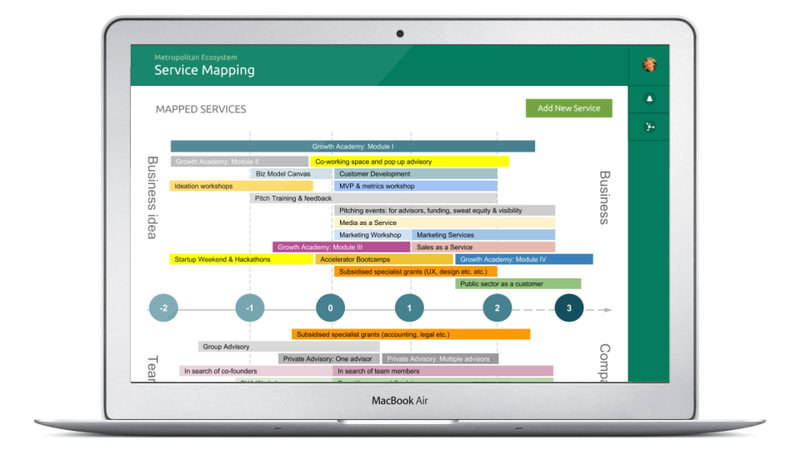 Map and manage your current startup ecosystem support services with simple "drag & drop" interface on top of ecosystem canvas based in Startup Development Phases framework, divided between "idea to business" and "talent to organization". Manage full service information with sharing and collaboration. Manage the connectivity of your ecosystem real-time information about services, events, startups, statistics and more connected with your ecosystem portal.